The PalmInfocenter store now stocks a wide selection of Centro Accessories. Palm accessories are our specialty and we offer a 30-day money back guarantee on all purchases. Shipping on our Palm Centro accessories starts at just $5.95. Select your Centro or Treo smartphone model from our device list and we will show you all accessories compatible with your specific device. 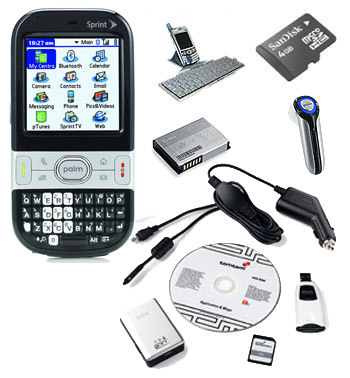 Whether you have a Palm Centro Treo 680, 700 or 750, we have the comatible accessory in stock. The most popular accessories in our store include: GPS Kits, Centro cases, wireless Bluetooth headsets, microSD memory cards, extended batteries and screen protectors. Currently, the store ships accessory orders to the US, Canada, Europe, Austalia and Japan.